The Audi R8 V10 Plus was launched in India at the 2016 Delhi Auto Expo today at a price of 2.47 crore (ex-showroom, Delhi). The opinion of a frquent supercar is something of an coparison. A car that will trash competitor on the race track, but pacific be throughly practical popping to the supermarket when you run out of saffron. The side blades - an iconic feature of the first-gen car - find themselves slightly reduced in prominence, transected by sharper shoulders. The blades still frame the air intakes behind the doors, but also mark the change from what is now a squarer and more serious rear, and the curvy dipping snub nose of the front. The Audi R8 V10 Plus is powered by a 5.2-litre naturally-aspirated V10 engine which has an output of 610bhp. In terms of performance, the car does the 0-100Km/h sprint in 3.2 seconds and has a top speed of 330Km/h. 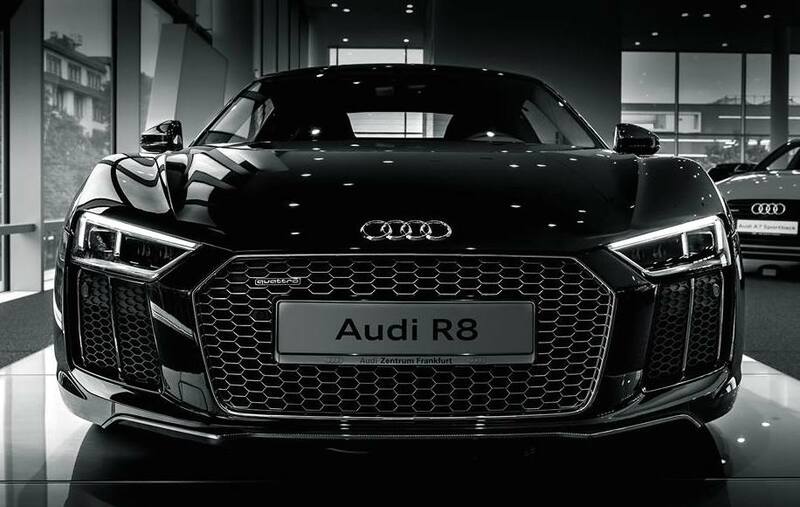 The R8 uses the digitial display first seen in the TT, which allows the interior design to be rather more minimal, as everything is centred around the driver, which it should be. There are the central controls on the transmission tunnel, but you can pretty much do everything from the steering wheel, so everything is at your fingertips.